Save time by streamlining inventory control, sales order management, product listings, fulfillment, and more with our eBay inventory management software. Our eBay online inventory platform is designed to save you time. When a sale is made, we’ll automatically send updated stock levels in near real-time to all your connected sales channels. Decrease the chances of running out of stock, overselling, and missing out on sales with automated inventory control. Easily manage and upload listings with our eBay product listing software. Quickly upload all your fixed price listings, schedule auctions, set customizable listing and shipping attributes, and create variant products. With our parts compatibility (fitment) functionality, you can list parts that fit multiple vehicles on eBay Motors within the ecomdash platform. Dropshipping is a great business model for online retailers, but it requires a smart marketing strategy. Let us take the operational tasks so you can focus on marketing. Our eBay dropshipping software sends eBay sales orders to your suppliers and once the order is fulfilled, we’ll update eBay with the shipping and tracking details. Our software works with eBay US, UK, CA, AU, AT, BE, FR, DE, IT, NL, ES, CH, IN, PH, IE, PL, SG, and MY. Create and submit a listing to eBay for a product with multiple variations such as size, color, and dimensions. Create an unlimited number of custom HTML templates or publish templates you designed on CrazyLister. Manage listings for products that fit multiple types of vehicles easily with our parts compatibility feature. Never end a listing again. We’ll simply mark it out of stock until you’ve received more products. With imported seller fees, you can truly understand your profit margins on eBay. 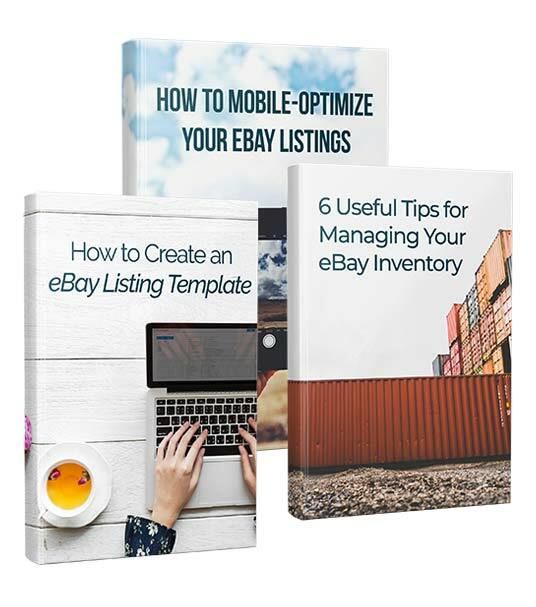 Guide to creating eBay listing templates that increase visibility. 6 tips for efficiently and accurately managing your eBay inventory. Practical steps to prepare your eBay listings for mobile devices. Do you support international eBay sites? Yes! Once you define your default country in ecomdash, we will send new product listings to that specific country. Can I use ecomdash to list my variant products to eBay? Yes, you definitely can. We support listing variations for eBay, Etsy, Walmart, Shopify, Bonanza, Google Shopping Actions, and Jet. Do you import seller fees? Yes, we import seller fees from both Amazon and eBay. How many places can I connect to ecomdash? The sky is the limit. We believe our customers should sell anywhere they want, without additional fees. Do you support eBay Motors? Yes, we do support eBay Motors category for listing management including parts compatibility (fitment) functionality. Can I send my eBay orders to FBA? Yes, with our FBA management tool, you can choose which products to send to FBA, no matter the sales channel. What eBay selling accounts do you support? We support the eBay Selling Manager and Pro accounts. How do you track my inventory on eBay? Our system uses the Custom Label on eBay as your unique SKU to map and manage inventory on eBay.